The housing market keeps getting better and better, and both buyers and sellers are reaping the benefits. If you are selling your house, you want it to be in the best condition possible – neat, clean, and eye-catching – but there are more things to be concerned about than just the cosmetics. Here are some preparation tips, things to repair and signs of decay to look for. Keep in mind that some things may seem like simple fixes to you, but might appear more serious to potential buyers. Stains on the walls or ceilings could indicate an issue with water. It could be something as minor as a leaky toilet, or forgetting to close the shower curtain. But you should look for the root of the problem, so you know exactly what to tell the buyer. If you have the means to repair it, do so before anyone sees your house. You should make it a habit to always use a professional to deal with electrical issues as problems with your wiring can be very dangerous. And you need to keep your electricity up to code. So check all your outlets and the breaker panel, and call an electrician if you have any questions. Better to be safe than sorry. There used to be a time when bathroom vents sent all the moisture to the attic, but the preponderance of mold, caused builders to redirect all that moisture to the home’s exterior. If your home is older, you might want to have a pro look into the possibility of mold. You can tell if there is mold by the black staining on ceilings and walls. Mold is a terrible health hazard and should be dealt with immediately. If you haven’t painted the exterior of your home in a while, the exposed wood could start rotting. Go around the outside, check the windows, and take out rotting wood and have it replaced. Of course, you must paint right away as well. Homes built before 1980 may have problems with this. Nowadays windows have 2 panes, and the seals are more stable. But if you notice any fogging on your window, it means you have a failed seal. This is an easy repair and you can do it yourself. If you have a chimney, make sure to have a pro check for cracks that could have occurred over time due to weather. Some cracks could be structural and need to be addressed. Radon is a carcinogenic gas that lives underground and seeps into cracks in your foundation or floor. Remediating is a professional job, but fairly simple. 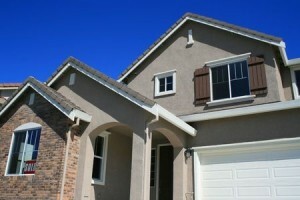 Many home buyers are very aware of the existence of radon gas, so expect to be asked about it. As mentioned earlier, if you can make repairs in your home prior to viewing, make them. But full disclosure should be made to a potential buyer if you cannot, and the asking price will have to be adjusted. Preparing your home for sale is not difficult. It just requires a bit of detection, and a good eye. You won’t be sorry if you take the time to survey your home and search out possible problems before putting your home on the market. If you have any questions, contact Above and Beyond Premiere Home Inspection.